After an awesome experience camping with our infant son utilizing Ontario Parks’ roofed accommodations, my wife and I were excited to try another alternative to tent camping that would allow us to keep our outdoor lifestyle alive while maintaining our baby boy’s comfort, and thus our sanity. 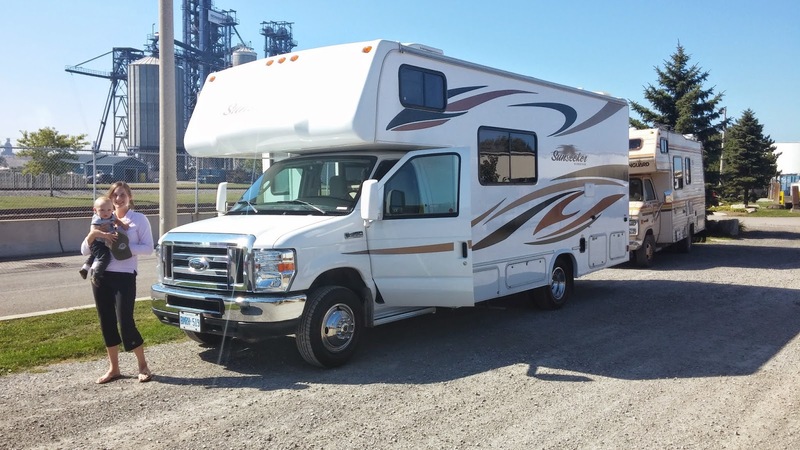 This time we connected with Go RVing Canada - the definitive source for all things motorhome, camper, trailer, hauler and park model recreational vehicle-related in our fair land - to try our hand at RVing. 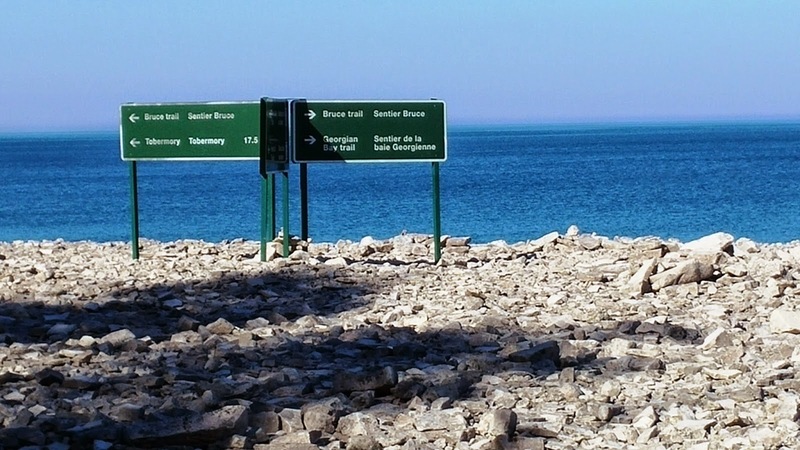 Our destination: the beautiful Bruce Peninsula. 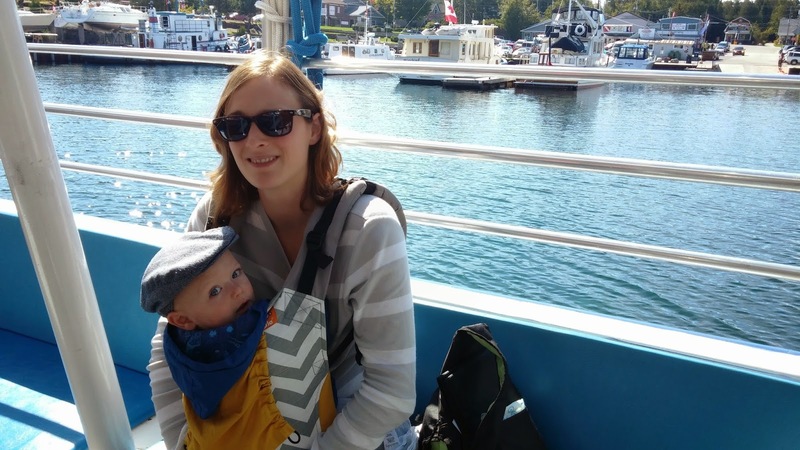 I spoke with Chris Mahony, Executive Director at Go RVing Canada about camping with an infant in an RV: "My wife and I are big travelers and we love to camp. As we got older and kids came along, RVing made so much sense. It's a perfect choice for those who have a propensity for the outdoors, but also have to consider all the needs of their kids." We picked up our rig in Hamilton at Outdoor Travel. The guys took us through every utility, gadget, tool and convenience of our Class C 23 foot Forest River Sunseeker motorhome (the first option on Outdoor Travel's rental webpage), of which there were many. They had us feeling very comfortable by the time we embarked. 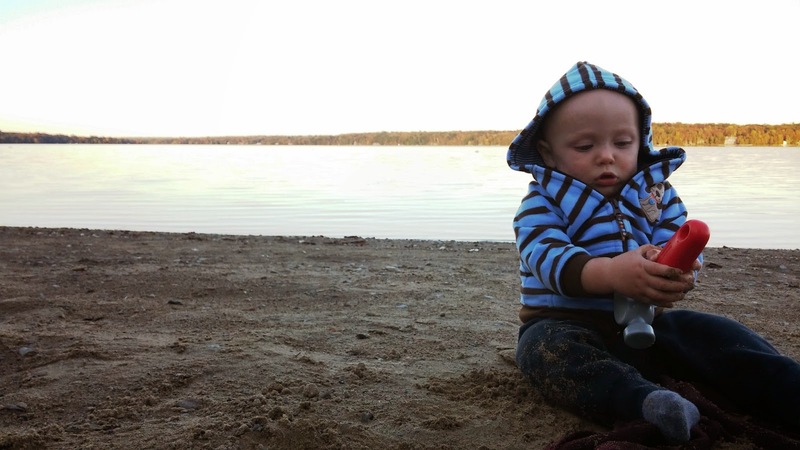 When packing up we quickly realized the first huge perk of RVing with a baby: storage! The living areas offer plenty of cabinets and closets for everything you regularly need, while the storage areas at the back and side of the motorhome allow you to keep everything else out of the way. Any parents know that playpens, feeding chairs and car seats can leave you feeling claustrophobic in small spaces, so being able to pack them away was absolutely perfect. The motorhome provided convenient anchor points for our car seat as well, allowing us to quickly affix our seat and remove it when not required. Fighting with a car seat can be frustrating - particularly when only the seat belt options are available - so having these anchors was a huge relief. The car seat buckles right into the RVs bench seat. 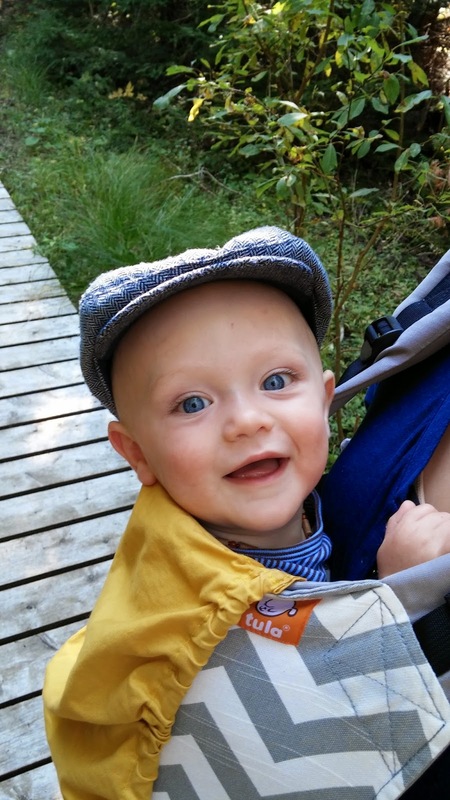 I went ahead and broke one of my key rules for camping with an infant from my first article: travelling farther than four hours away. 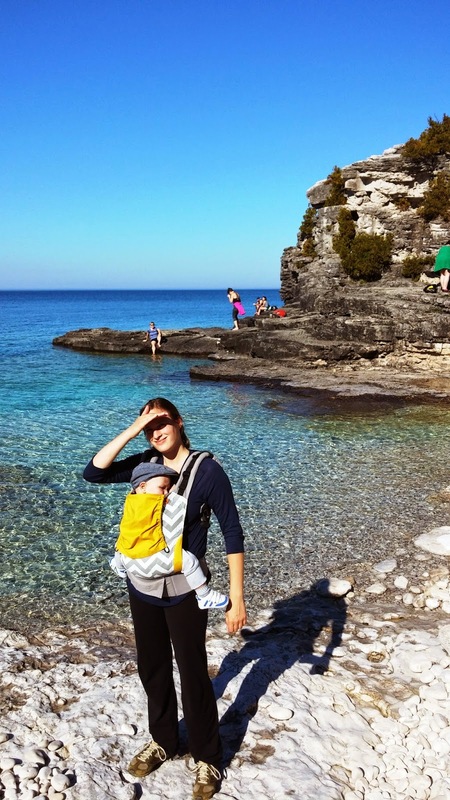 My wife had never been to Bruce Peninsula National Park and my eagerness to share it with her bested my better judgement. Wesley did okay on the long drive, sleeping in fits, but the distance got the better of him and an extended crying tirade forced us to make an extended stop on route, delaying our arrival. We arrived at our destination after dark and were thankful for the minimal set-up that the RV required. All we needed to do was plug in the power cord, attach the water hose and we had a fully functional house on wheels. We used the complete kitchen, equipped with fridge, stove, sink and microwave to prepare dinner for ourselves and Wes, and were able to grab a shower in the RV’s three piece bathroom! How perfect is that! The next day we checked out the park. We stayed for three nights at Summer House Park, located 20 minutes south of Tobermory on Miller Lake. This immensely picturesque and tranquil park offers 235 campsites including full services sites for RVs. We got the chance to speak with Darcy, whose family has owned the park since it opened over 60 years ago. She explained the family orientation of the park, mentioning the many kids programs and activities including inflatable water toys on the lake, organized and drop in games, guided hikes, evening entertainment, boat rentals and a full playground. Most of the activities only run during the summer but Darcy’s explanation got us pumped to bring Wes back when he’s a little older. 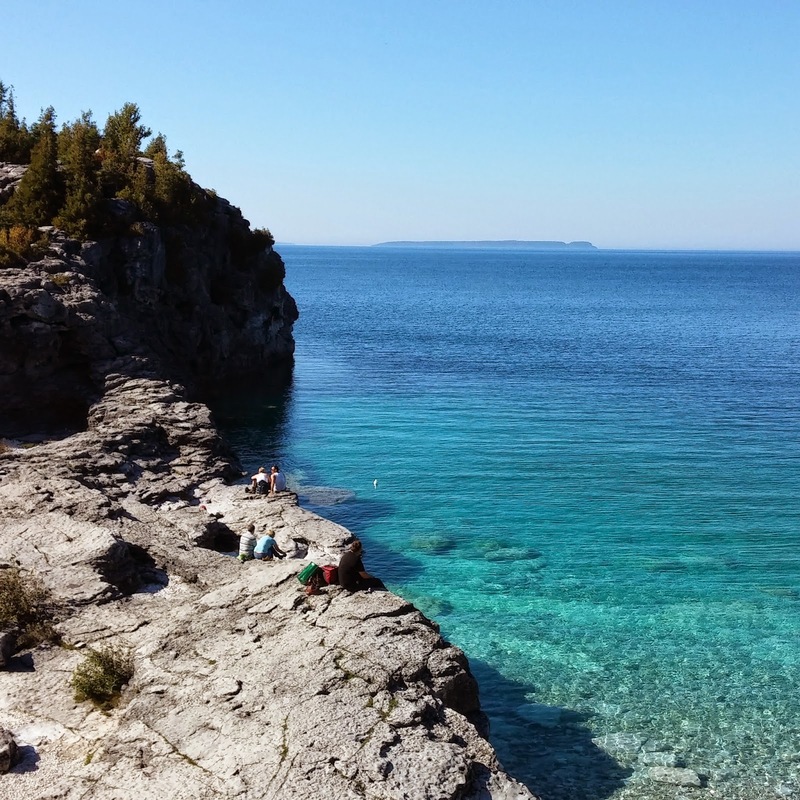 We packed up the RV and spent the day in Tobermory, capping off our visit off with a glass bottomed boat tour of Fathom Five Marine Park and Flowerpot Island with Blue Heron Tours. We got back to Summer House in the late afternoon and spent the waning daylight hours at the beautiful beach. With one night in the RV under our belt we were becoming more confident with the set-up. The 23 foot unit we were provided didn’t leave a lot of room for the playpen that we brought for Wes to sleep in. With a little ingenuity, we were able to lower the kitchen table and place the playpen on the benches, keeping the walkway to our bed clear. This allowed us to put Wes to bed and have a campfire without worrying about waking him when we retired for the evening. We would still recommend a larger motorhome to provide additional room for a playpen for those camping with an infant. Our bed, we were shocked to find, was one of the most comfortable we had ever slept in! Better than an air mattress any day. 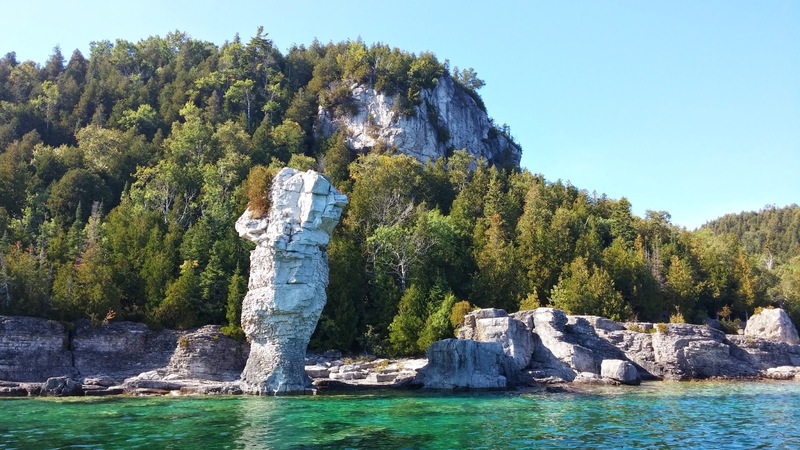 The next day we made our way to Cyprus Lake Campground in Bruce Peninsula National Park to check out the astounding rock formations. 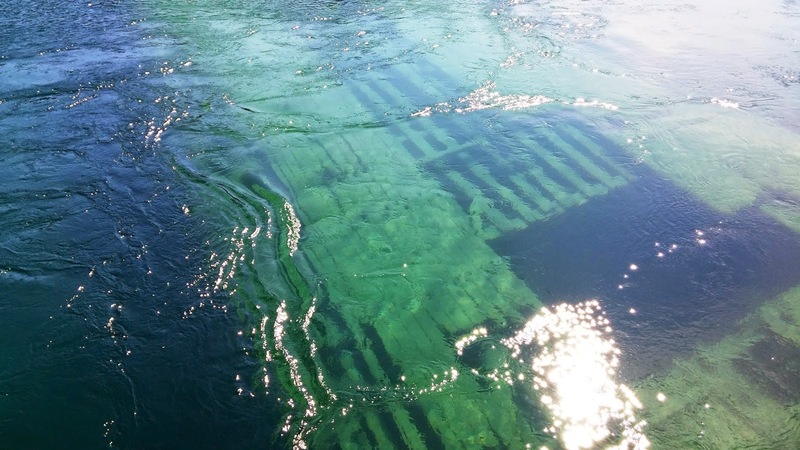 We were blown away by the crystal clear blue water. 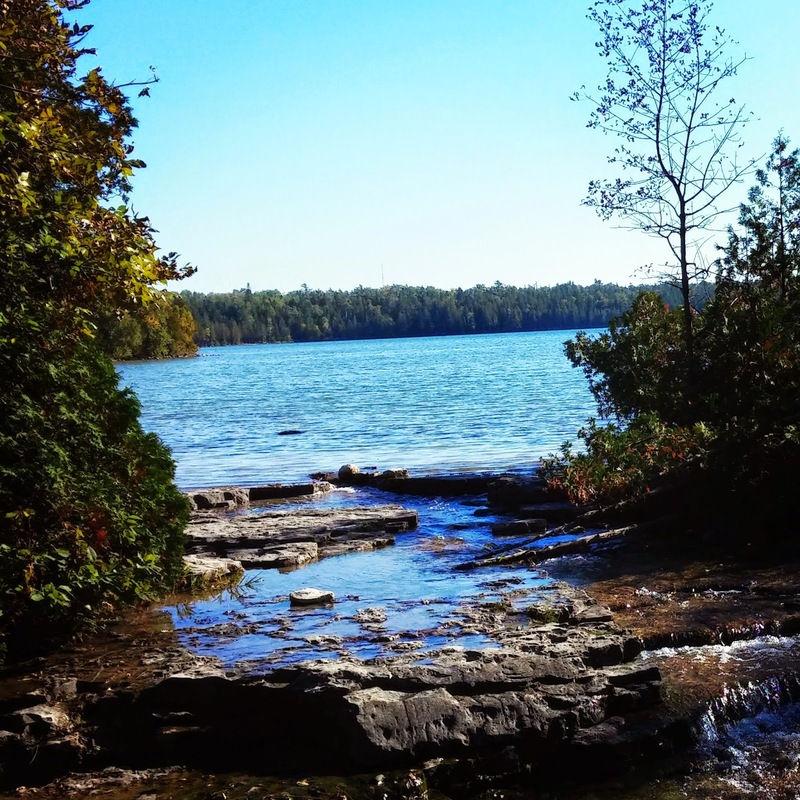 Cyprus Lake Campground accesses one of the most beautiful natural sites in all of Ontario: the grotto. Pictures are the only way to tell this story. 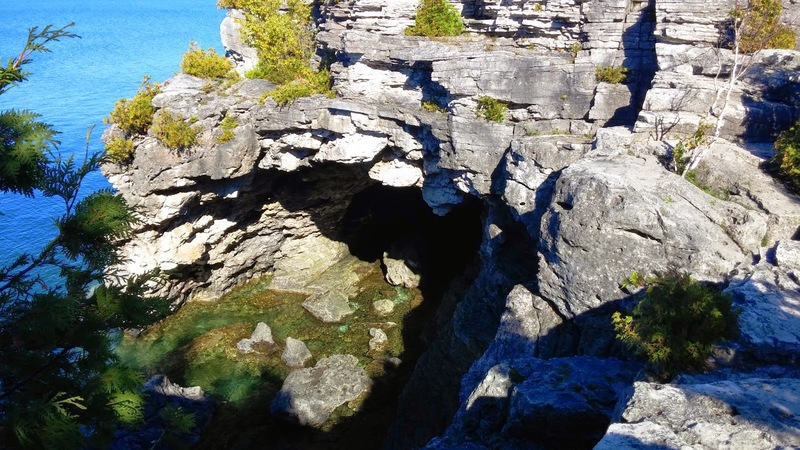 We hiked the full loop of trails that join the Bruce Trail, stretching along the Georgian Bay coastline. Steph found the Horse Lake side trail to be a little treacherous with Wes strapped to her, but she pushed through, carefully. 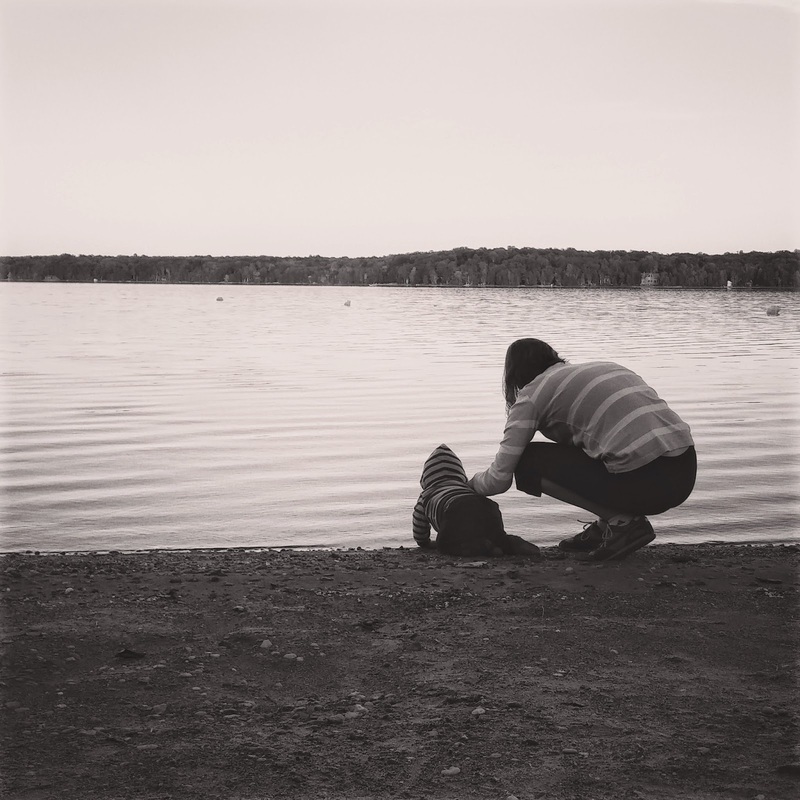 We spent another night by the campfire enjoying the peaceful park as Wes slept soundly. We had intended to embark early the next morning but got held up by an over-tightened flange on our sewer line (pure newb RVer move). We received eager help from some of our fellow RVers and from the park staff. When I mention the help we received, Chris said it was par for the course when it comes to RVers. "RV parks are amazing communities," he explained. "RVers seem to always be approachable and willing to help." The only downfall of RVing, we found, is cost. Rentals usually come with limited kilometers which restrict the ability to go very far without paying extra fees. As expected, the rig also went through a fair bit of gas. That said, the combination of convenience, comfort and features, I think, make the cost worth every penny. I’m told a tow behind option may be an even more economical way to go. An RV is another excellent option for new parents who don’t want to give up their outdoor lifestyles. 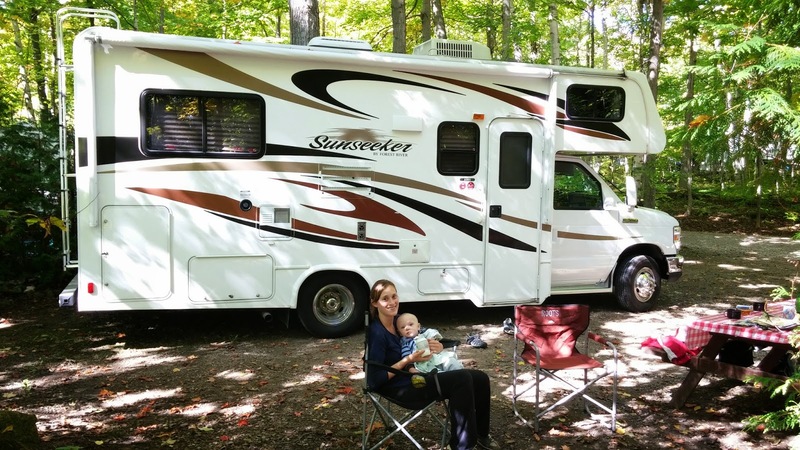 The ability to maintain temperature (RVs have both air conditioning and heat), bring everything you need, control light, prepare food and bottles, and provide a safe environment for baby to play all add up to a peaceful relaxing vacation. 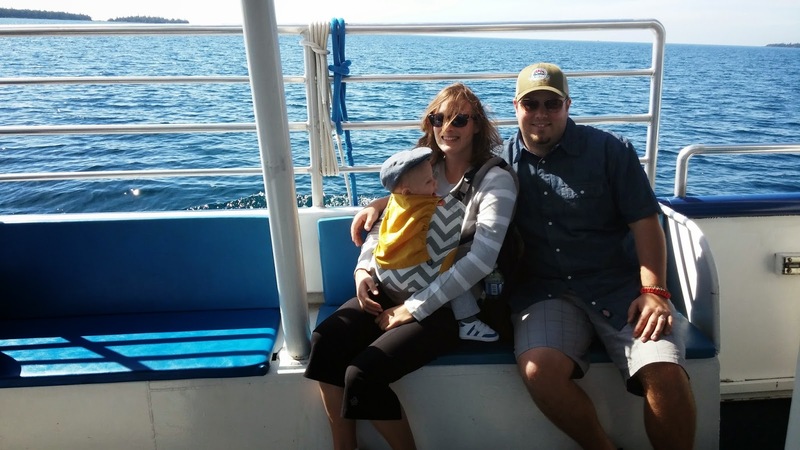 "There are so many reasons why people choose RVs," explains Chris. "Once you have the RV travel costs are quite low, up to 76 per cent less than other trips! You also have increased freedom and flexibility and are able to pick up at a moment's notice and go wherever you want. That's something you don't get with a cottage." If you are considering RV for rent or purchase check out Go RVing Canada's website. They have a variety of tools to help choose the right option for your situation. They also provide trip planning information including campground listings, routes and packing lists. Big thanks to Chris and everyone at Go RVing Canada for setting us up on this trip. We can't wait to go again! I noticed they don't give pricing on the site, what do these RV's usually rent for? The unit we got rents between $100-$200 a day depending on season.